Style & Sensibility: Genius "Build Your Own" Save-the-dates! Last weekend, my awesome hubby took me to see the most amazing 3-D movie ever made (so far) - Avatar! 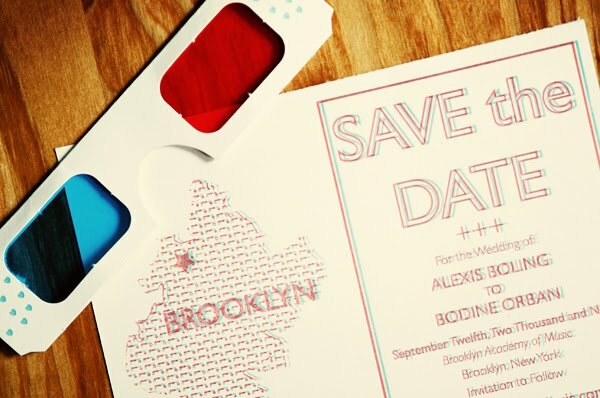 With the sleek use of 3-d imaging and the teary-eyed (but not sappy) romance, I was reminded of these genius save-the-dates that I remember seeing over on The Brooklyn Bride. 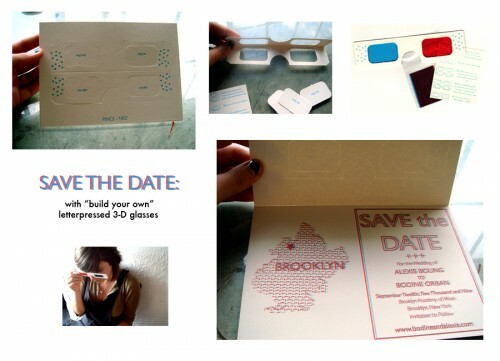 I absolutely adore how the bride's sister (Megan of Brown Parcel Press) designed 3-d glasses for the recipient to build in order to see the message in its wondrous glory. Simply genius!